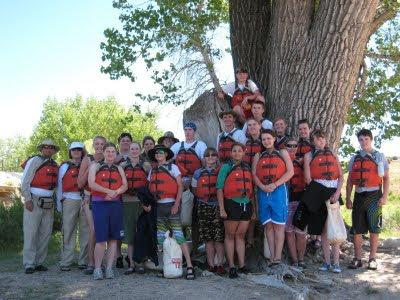 The June blogs were composed by students in the Snow College Geology Field Studies class summer of 2011. 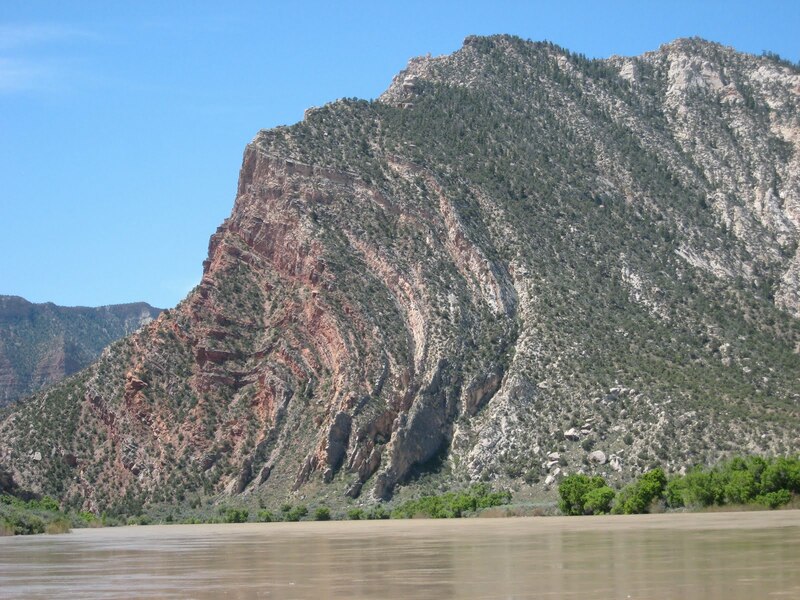 Our class studied the fascinating geology of the Green River through Dinosaur National Monument. Holiday River Expeditions made this possible with their educational discounts. The Green crosses the Uinta Arch, Mitten Park Fault and last, but not least Split Mountain Anticline. The area was made famous by John Wesley Powell in his account of his 1869 expedition: "Exploration of the Colorado River and its Canyons". Wallace Stegner said "Nearly everyone who runs any part of the canyons now .. either carries this story of Powell's in his duffelbag or has it read or recited to him around the fire while the tamed Colorado slips past." Lodore Canyon was the first real white water the expedition encountered. 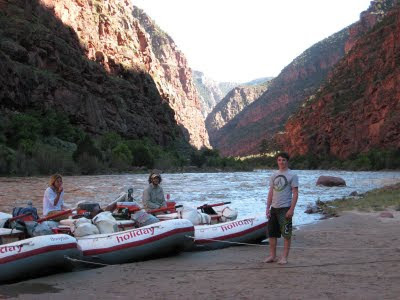 It was a dream for me to experience rapids that Powell's expedition named like Hell's Half Mile and Disaster Falls and the famous Canyon of the Lodore, Echo Park, Rainbow Park, Island Park and Split Mountain. I hope my students appreciated how cool it was to be there. The icing on the cake: flows that haven't been seen since 1984. 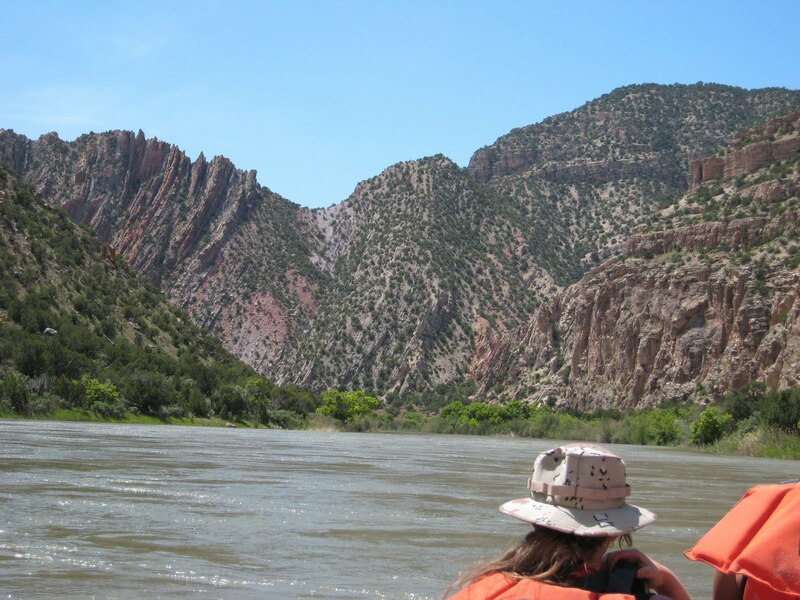 Fast, big water, great guides and a great river company. Thanks to Karen, Pat, Jordan, Ferg and Tilt from Holiday. Thanks to UB Summer Component for their support. I hope my student blogs will help you to understand the geology of the river and the experience through their eyes.